Retirement is a major life milestone, so you’ll want to ensure your friend or loved one has a memorable experience at their celebratory party. Creating a party to please your guests involves careful planning, so understanding what to do and not forget will help keep you organized. Here are some tips for picking out an event venue and planning a retirement party. Be considerate of the guest of honor and remember to keep them at the focus of your party planning. Pick menu items you know they enjoy, decorations and a color scheme that suits their tastes, and music from all their favorite artists. If the party is a surprise and you’re having trouble figuring out any aspect of it, consult with other friends and family to get their input. A powerful speech can make you think, make you cry, or cause a whole room to laugh out loud. 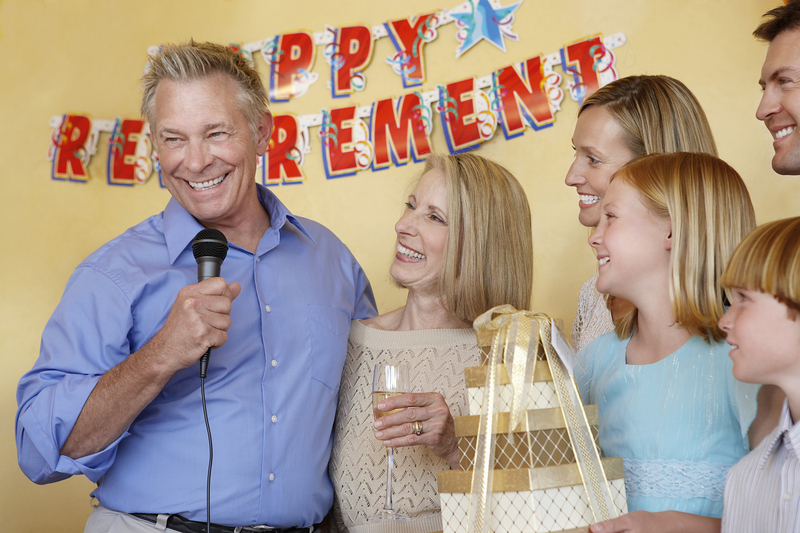 When planning a retirement soiree, select a few speakers who know the guest of honor well. This could be close co-workers, a spouse, children, or their siblings. If you plan on having several speakers throughout the event, consider hiring an MC to organize the schedule and keep your guests entertained. Send out RSVPs to confirm how many people are attending the party so you can pick the right event venue to accommodate them. If you’re hosting a large crowd, ensure your venue has enough seating for everyone so they have a place to rest and eat. If you’re holding speeches or showing videos and slideshows, choose an event venue with audio/visual capabilities. Event venues often provide decoration packages, so discuss what is offered at your location before making a decision. Throw a retirement party to remember at Royal Chateau Hall in Rosedale, NY. This event venue features luxurious rooms with high-end amenities and services including LED lighting systems, champagne toasts, and royal “throne” rentals to allow your guest of honor to lounge in style. Visit their website to view a gallery of past events, then call (347) 770-0334 to reserve a room for your next big event.